Having family rituals is important to me. I remember family traditions that I took part in when I was a little girl and I want there to be some that my kids remember as well. Something we do every single day is to sit down for dinner together. Table conversations in my family are very important. No matter how busy we all are, we always gather for dinner and talk about the day. My husband and I put our phones up in a little box on top of the fridge and we just talk to each other. I believe that this time is essential for parents to keep in the loop with what their children are doing throughout the day. As my son gets older, I am finding him closing up more and more every day. Trying to figure out what he has been doing all day at school has been more and more of a struggle. Sometimes we need a little conversation starter to get us going. Recently we received some fun Mardi Gras Napkins’ conversation starters that have helped get our family talks going. 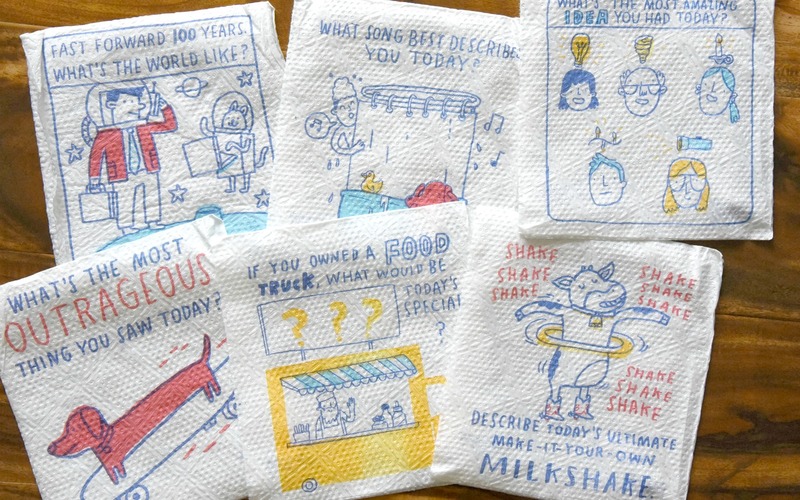 Mardi Gras Napkins’ conversation starters are napkins with fun little questions that you can read aloud to anyone at your table. They are fun to answer and to start some good table conversations. 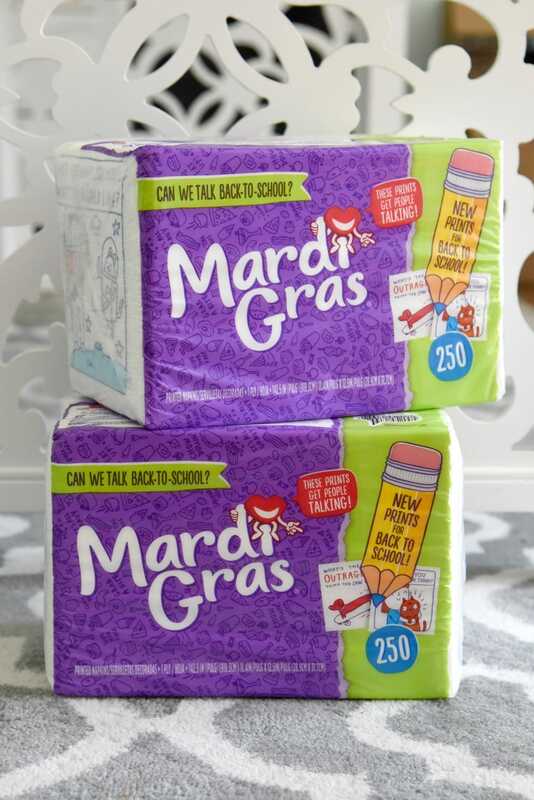 Mardi Gras Napkins’ conversation starters are perfect for moms to stick inside their children’s lunch boxes so that they can have fun chatting with their classmates. I can imagine that if they are starting a new school and don’t know anyone yet, this could be a really nice tool for them to have to get to know people. During the school year, I will often leave my kids little notes in their lunchboxes and they love it! Every time I do it, they came home saying how all their friends thought it was cool and wanted to read the little notes. I think Mardi Gras Napkins’ conversation starters are also going to be a huge hit at my kids’ school this year! As a former teacher, I also searched for fun ways to get a friendly conversation going in my classroom. I think Mardi Gras Napkins’ conversation starters would be a great idea to bring into the classroom to spark a little discussing between students. In my community meeting every morning we would pick a question that they would turn and talk to the person sitting next to them about. These would be a great addition to spark a fun classroom conversation. 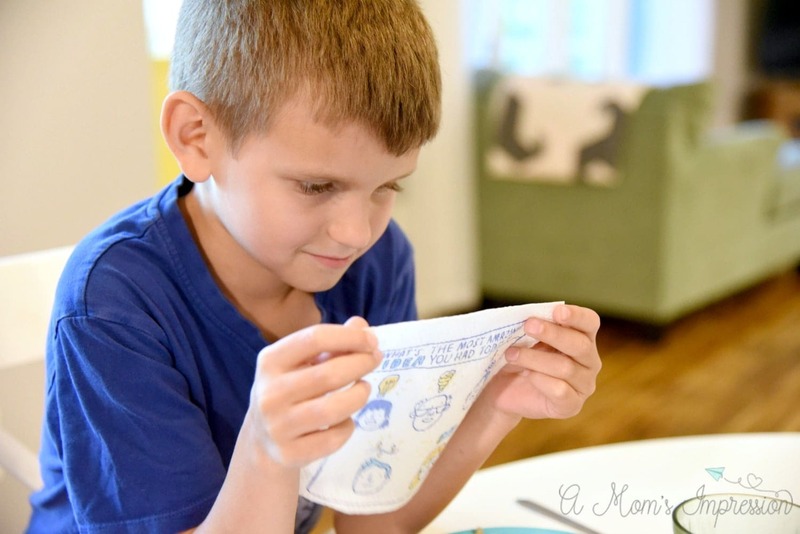 Mardi Gras Napkins’ conversation starters are perfect for moms, dads, and teachers! 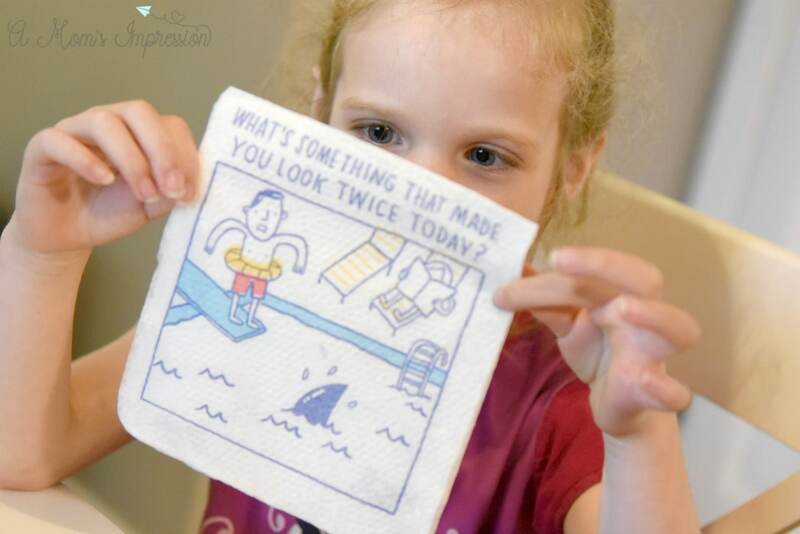 Learn more about Mardi Gras Napkins’ conversation starters and where you can find them on their website. Get stocked up now for the busy Back to School season and get ready to have some fun conversations with your family!